Long Snappers came out to NC to attend the Rubio Long Snapping NC Camp on March 1st from NC, SC, FL, VA, PA, MA, KY, DE, MD, OH, NY, TN and CT to get the best Long Snapping instruction and exposure in the country for Long Snappers. 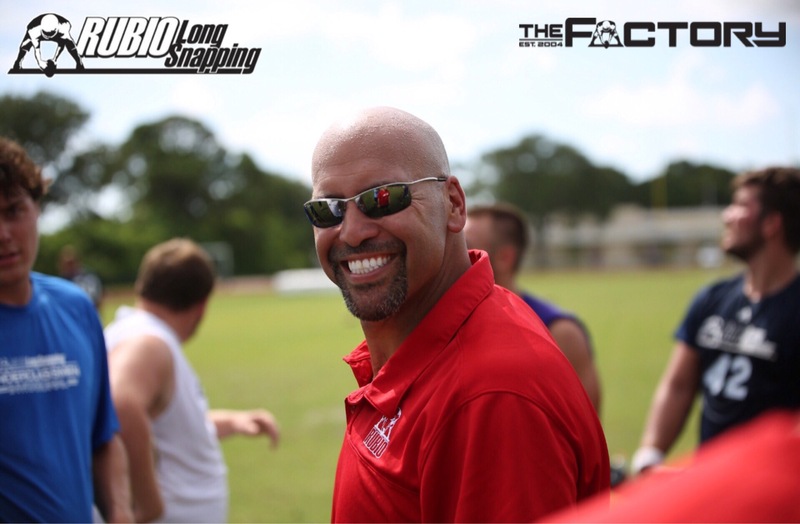 Long Snappers, and their parents/guardians, were instructed on the field, had a film and classroom session, a recruiting seminar and ended the day with a competition with Rubio present and running the camp. Each Long Snapper was filmed and will have a player profile provided for them on RubioLongSnapping.com. The overall winner of the winner of the camp was Kyle Landis (14) out of PA. Kyle is a very thick Long Snapper that uses his strength very well. He snaps a nice, crisp, hard ball that gets back to the punter quickly. Did a good job of handling the pressure and improved throughout the day. Alan Lucy (VA) showed exactly why Rutgers took him on scholarship. He is snapping with a great deal of confidence and some great accuracy. Speed is always excellent and his consistency was amazing. Dillon Counts (NC) had a terrific day showing me great form and incredible athleticism of his very strong frame. He has a ton of potential and just continues to get better. Nate Hawkins (OH) was beyond accurate and consistent all day. His body is looking very solid and he is oozing confidence. Garrett Wilson (NC) looked exceptional all day long in NC. His body is looking very solid and he is snapping with good pop and confidence. Event Elite should be all over his mind for Vegas. Jamie Land (SC) was very solid throughout the day. He snapped with great aggression and showed me a lot of promise. Keep an eye on this Long Snapper in Vegas. Ben Warner (SC) was snapping good balls all day long. He has a good frame and with more confidence, he will dominate. Harrison Freeman (NC) was by far the best sophomore at the camp. He is built VERY well and the sky is the limit for his potential. John Murphy (NY) impressed me throughout the day with a steady, consistent snap that was very accurate. Bradley Watkins (SC) was one of the most consistent Long Snappers at the NC camp. He was almost always hitting a 3 or a 2 on The Target. Very solid potential. Jackson Quiggle (NC) did very well all day long. Great form and confidence is starting to build. Watch him. Mitch Hall (NC) left no doubt he is the best Long Snapper in his class. His form is in a class all by itself for his age. The only question is can he keep the top spot all four years. I think he can! Carson Tebbetts (CT) was very accurate and consistent all day in NC. Great form and a solid attitude on Tebbetts. For the full spring and summer schedule, please go to RubioLongSnapping.com!